Happy Wednesday to everyone!! I hope your week is going good, my son graduated from pre-school today so they had the cutest graduation ceremony today. I didn't cry too much, I tried my best to keep it together. Today I have three polishes from the newest collection from Jior Couture, Nails and Drink collection. 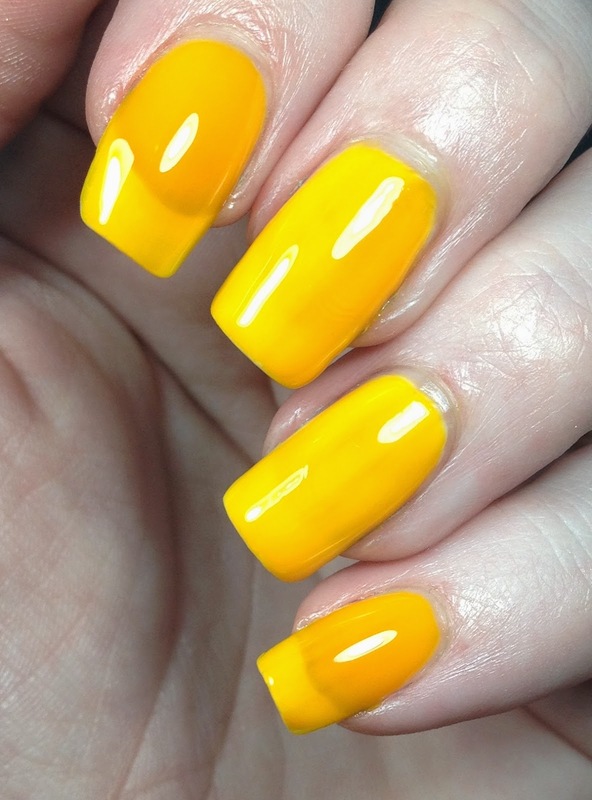 The first polish I wore was called Mango Tango. 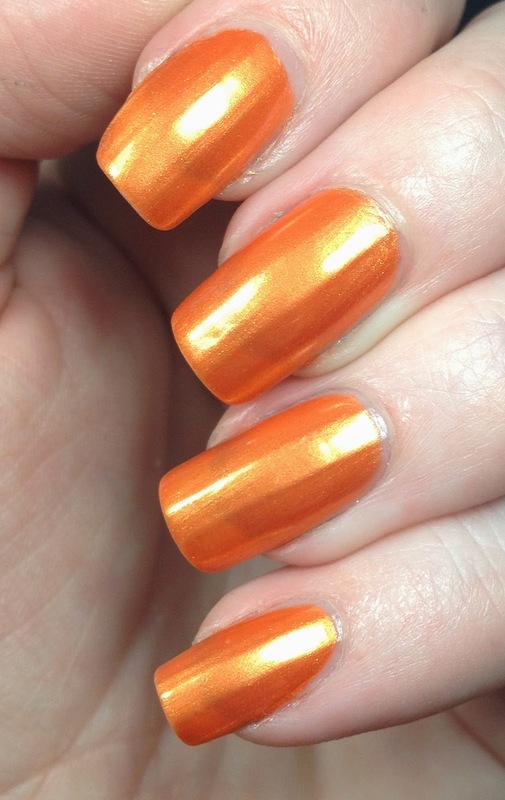 This is a shimmery orange polish and I used two coats in the pictures below. It was kinda sheer yet thick when I applied it and I thought that two coats wasn't going to do it, but it worked out just fine. It was so beautiful in person. I am slowly turning into an orange lover, I just don't know what's wrong with me. I topped this one with HK Girl from Glisten and Glow. 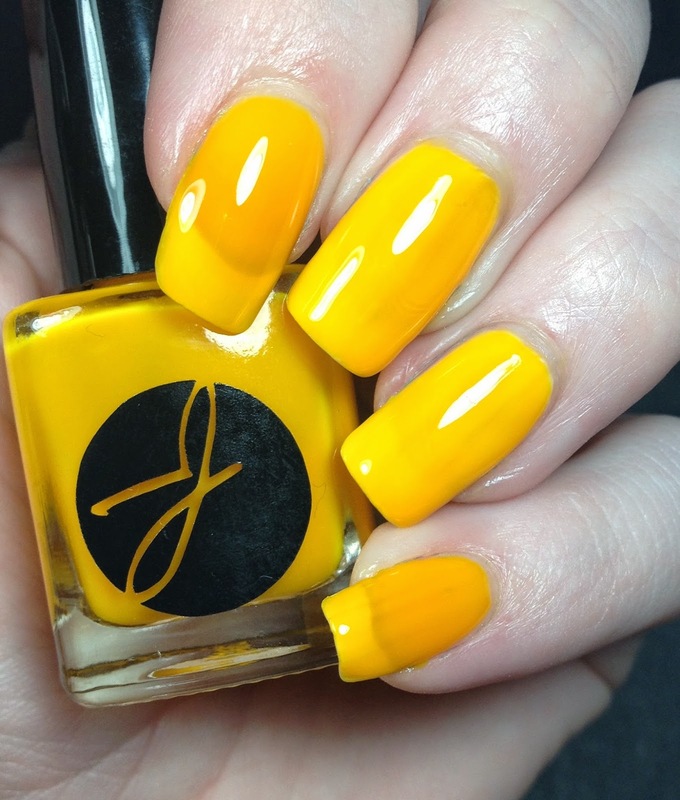 Next up is Pineapple Delight, a highlighter yellow jelly polish. I have it pictured over a white jelly polish ( since I couldn't find my regular white) and all on it's own. Index and pinky are three coats on it's own and then on the middle and ring I have two coats over Essie Marshmallow. The formula was typical of that of a jelly and it applied just fine. This polish is BRIGHT in person. When they said it was highlighter yellow, they were not lying. 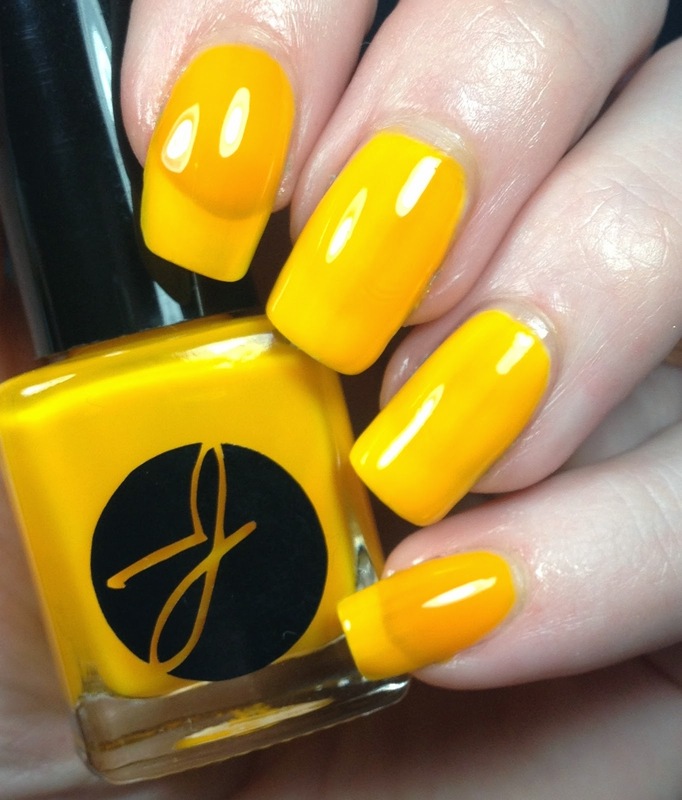 If you like them bright then this one is for you. I topped this with Glossy Glam from Rica. 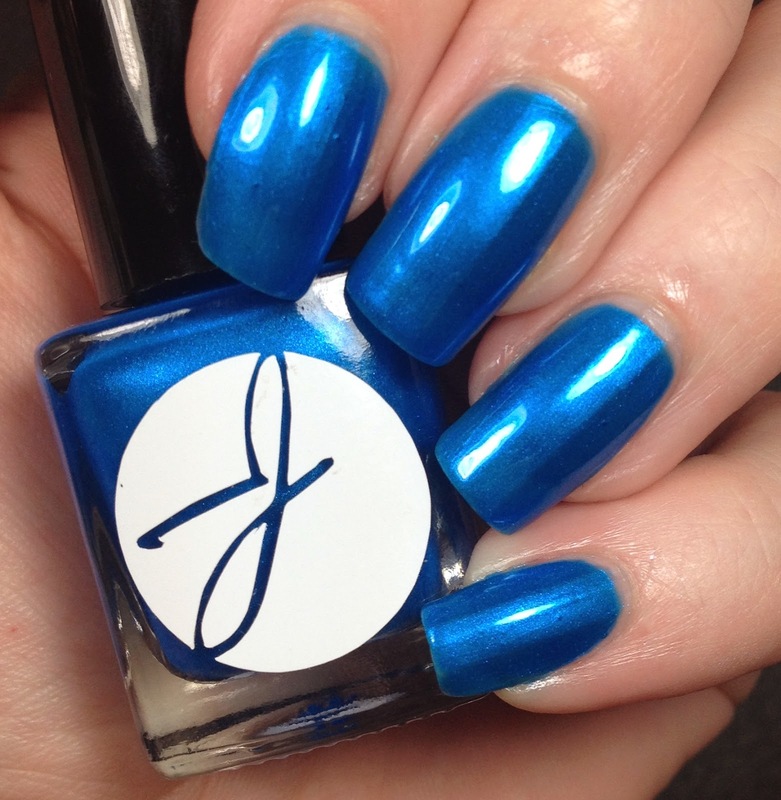 Last up is Blueberry-Ade a beautiful blue polish. 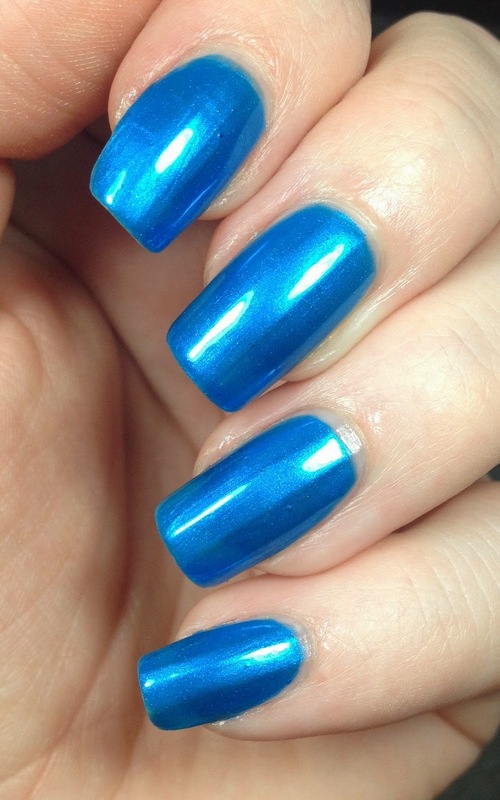 This is a nice true blue with a nice shimmer to it. The formula of this sheer but it built up nicely. I used three thin coats of this and I topped it with Rica's Glossy Glam. I think I am going to be using this in my upcoming 4th of July mani. It's such a stunner. 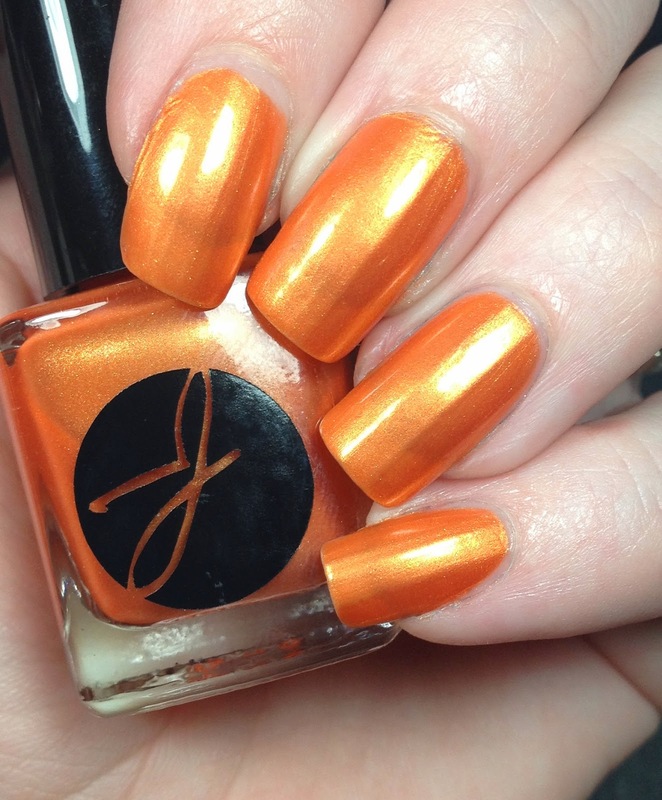 There are a lot more polishes in this line so make sure you go check out the rest of them! There are some other ones that I have my eye on that I may go grab when they go up for sale. These are nice colors. I really like Blueberry-Ade.